Howdy Doodle: happy world book day! (closely followed by all of his other picture books!). I have a pretty mahoosive collection of picture books, can't get enough of them! 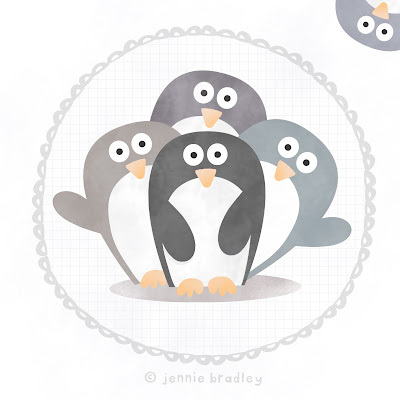 My list of favourites is also gigantanormous (too many to name right now), but in honour of my ultimate fave - a story about a the adventures of a penguin and a little boy I have drawn a mini penguin portrait for ya'll.